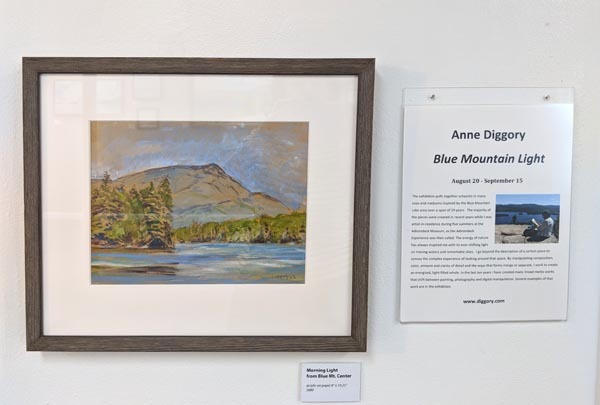 The exhibition, Anne Diggory: All in a Day’s Work, features sixteen lakeside landscapes, the products of Diggory’s intense concentration on a motif that often yields several works from a single day on location. 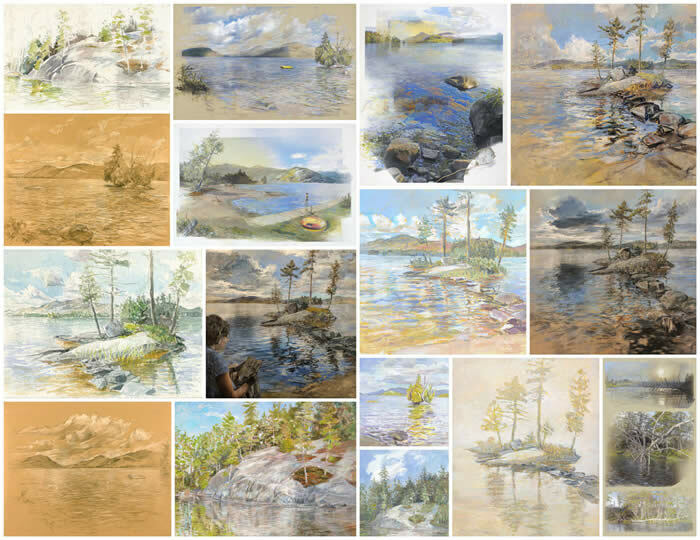 Rather than choosing just one expression of shifting light and constantly changing patterns of waves and clouds, she creates multiple versions on the spot and later in her Saratoga Springs studio. 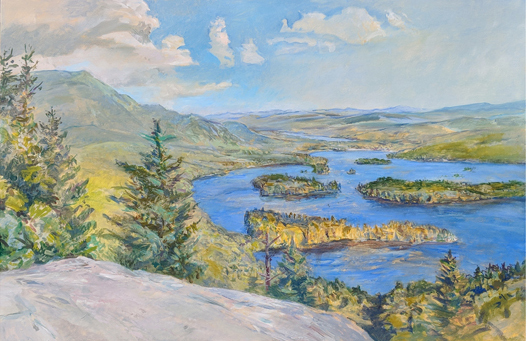 Six works will focus on a day at Crane Point on Blue Mountain Lake and four on a day on Recluse Island on Lake George. 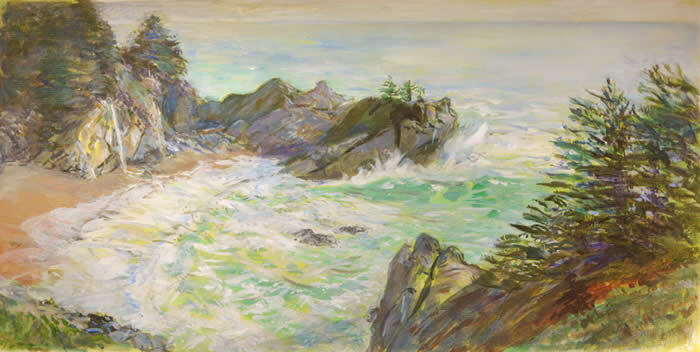 The different artistic choices of medium, palette, amount of detail, and composition are both intuitive and deliberate as each artwork separately expresses the transitory quality of her experience. 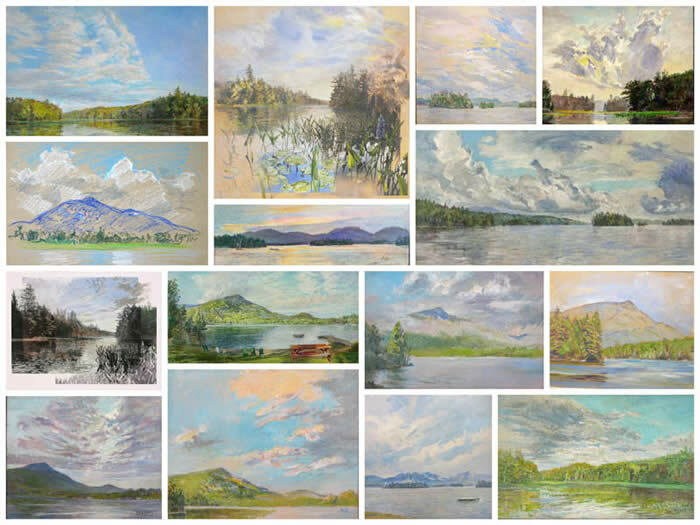 About the Artist: Anne Diggory frequently paints on location in Saratoga Springs, the Adirondacks, the Hudson River Valley and Alaska. Her hybrid works combine photography, digital manipulation and painting in a multilayered process. Diggory's work has recently been featured in Adirondack Life, the Adirondack Explorer and Saratoga Living . She lives in Saratoga Springs, NY. 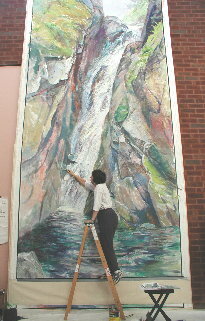 At work on a mural commission for The Adirondack Trust Company. The mural has been installed. Click on image to see extensive documentation.